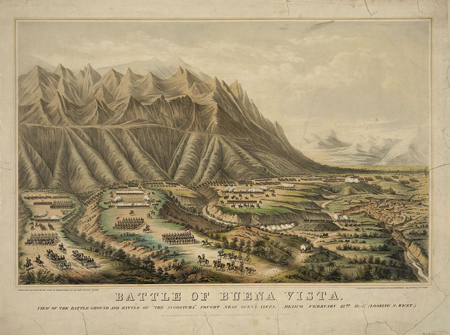 Today in History–February 23–the Library of Congress features the Mexican American War. On this day in 1847 U.S. General Zachary Taylor was victorious over Mexican General Antonio Lopez de Santa Anna in the Battle of Buena Vista. Learn more by visiting the Today in History section, then click the links below to discover more about this war between the U.S. and its southern neighbor.